The state of Texas is among the nation’s leaders in many areas, including population growth and economic output. In the health arena, The University of Texas System institutions are recognized leaders and innovators in health care delivery, public health, biomedical research, and health workforce education. Texas’ population is diverse and growing, and is more than just a reflection of the nation’s diversity; it’s a vision of what the United States may look like in the future. Texas also faces considerable population health challenges. We lead the nation in the number of individuals who are uninsured. Our coastal region is uniquely vulnerable to natural disasters. Our border with Mexico is the longest in the nation and brings with it bi-national health challenges that few other states in the nation confront. Racial and ethnic health disparities are significant within our rural, suburban, and urban communities. There are also significant geographic disparities found across and within our communities. New methods for analyzing and mapping data have allowed us to pinpoint significant differences that exist even across adjacent census tracts or zip codes. In many ways, our zip codes can be more predictive of our health outcomes than our genetic codes. UT System is committed to addressing the health needs of Texans through our research, care delivery, and educational and workforce training. 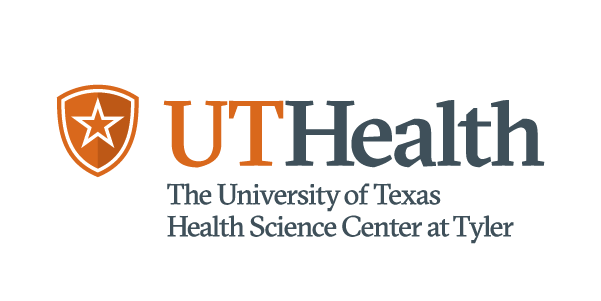 In this Population Health Strategic Plan for Fiscal Years 2019-2024, prepared at the request of the UT System Board of Regents, we outline a strategy focused on our institutions and their unique strengths and opportunities. Our institutions are committed not only to providing exceptional health care to their patients, but to working in partnership with their communities to identify and implement programs that will improve the health of all people and inform practices and standards across the United States. This plan was developed by a group of population health leaders from the UT health and medical institutions as part of the newly established UT Collaboration for Population Health Innovation and Improvement (UT CoPHII). A key premise of the planning process was that an overarching UT System plan could not be developed in isolation from the population health plans of our individual campuses. Institutional plans were therefore first developed by internal population health teams, with ongoing input from UT CoPHII colleagues and leadership, and then approved by the institutions’ leadership. Increase UT System collaborations to address population health. Develop strategies to promote data sharing, repository use and analytics. Increase use and reach of telemedicine for delivery of primary and secondary care. Promote cancer prevention and screening. Prioritize mental health and expansion of integrated mental health services. Advance health and health care workforce development. Undergirding all six objectives is a deep commitment to addressing health disparities and reducing equity and access challenges faced by our communities. Texas faces many health challenges beyond the ones listed above, but the members of UT CoPHII believe that these six objectives will enable our institutions to move forward collectively, are attainable within the time frame of this strategic plan, and will facilitate the ability of our institutions to collaborate on additional initiatives in the future. These six areas will set the stage for UT System institutions to build on their national leadership in population health and to significantly improve health in their respective communities and across the state of Texas. UT System alone cannot solve all the population health needs of our great state, but we are committed to engagement and partnership across our institutions and within the communities of which we are part. We are dedicated to reducing health disparities throughout the state. And we will work to disseminate broadly and freely the methods and strategies for sustainable change that emerge from our work. Thank you for your interest in this initiative and in improving health for all Texans.